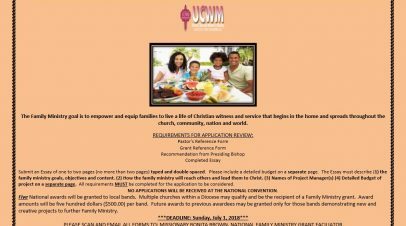 The United Christian Women’s Ministries, through faith and prayer, will Cultivate accountable relationships, work to train, educate, build, and evangelize, Mentor new converts youth and children. 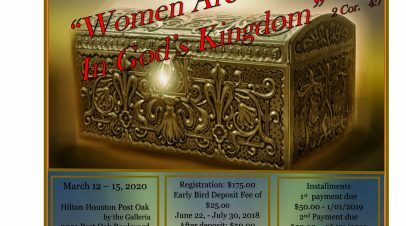 The United Christian Women’s Ministries encourages women of all ages to cultivate their relationship with Christ, and to provide services that will challenge, train, and equip it’s members and future generations for ministry, evangelism, and spiritual growth. 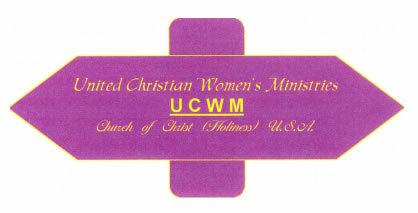 as a member of the United Christian Women’s Ministries of the Church of Christ (Holiness) U.S.A. I pledge to be obedient to the Word of God. I will walk worthy of the vocation wherewith I am called, with all lowliness and meekness, with longsuffering, forbearing others in love. 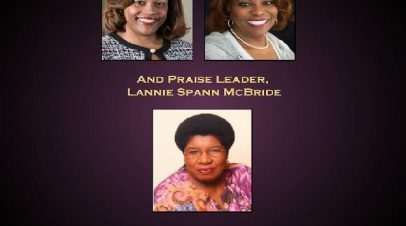 With prayer and strength of mind, body and soul, I affirm my support to families, Christian education and missions. That I may please the Lord in everything I do.